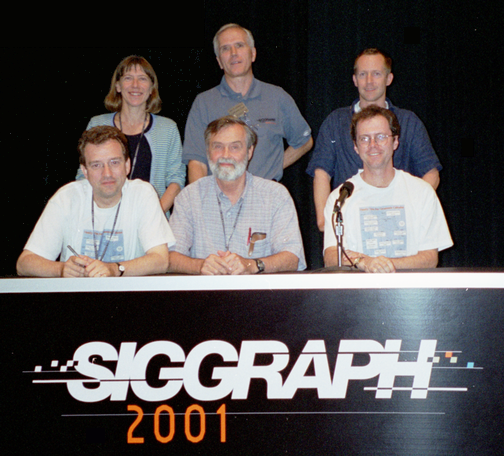 This page contains the slides and GABLE demos for our presentation on geometric algebra at SIGGRAPH 2001. If you encounter any problems or have any comments, please email them to us: leo@wins.uva.nl and/or smann@cgl.uwaterloo.ca. If you do not have Matlab to run the demos, you may prefer the handout version of our talk, which has some screen shots of some of the Matlab demos in it. To run the Matlab demos, you should down-load GABLE. The material that appears in the published course notes is available at http://cid.nada.kth.se/il/siggraphcourse.